This presentation is about the “Hidden Persuaders,” their mind control, manipulation and motivation techniques and how to protect yourself from them. Lee Lawrence examines various techniques used by individuals to influence and manipulate others. The purpose of Lee’s talk is to enable people to identify the techniques in order to guard oneself from being manipulated. This is not a course to train anyone to utilize the techniques nor does Lee condone such actions. We are all responsible for the consequences of our actions and the purity of our motives. Our susceptibility to being influenced varies during our lifetime based upon our level of psychological development, experience and education in life, as well as our relationship status. The greatest variation in susceptibility is a function of the perception of self in the external environment. Lee has been researching this topic for over twenty years as a part of his own journey seeking to understand human consciousness. This, like many of the topics he has learned from the "School of Hard Knocks" (which understandably, we all know has class colors of "Black & Blue!") is being shared for the benefit of all seekers. Often, it is far better to learn from observing other's difficult experiences rather than replicating them on our own. Thus, Lee is sharing the knowledge on this topic in hopes that everyone gain benefit on their individual journey through life. While Lee is a trained stage and clinical hypnotist, he learned the techniques not to ever use them on stage to manipulate people for the entertainment of others, but to understand how the techniques work. Empowerment of knowledge of these techniques sets us free from their being used to influence and manipulate us in every day life. Lee has also traveled extensively visiting charismatic churches, tent meetings and religious cults in order to observe the various techniques in action in a religious environment. He is not discounting the existence of the real profound religious experiences, but is offering clues as to how you can distinguish the false experiences from the real experiences. The same techniques utilized by others to manipulate us can be utilized in a positive application by each of us for self improvement in the form of "Affirmations," "Subliminal Suggestions," "Motivation," and "Inner Self Change." The final section of this presentation examines the “Diversions from the Spiritual Path” often experienced by spiritual seekers. Biography: Lee Lawrence is an internationally known medical/psychological intuitive. His scientific research into the existence of the human soul and how it functions takes science beyond its current limits. Many know Lee as "The Man Who Reads Souls." The downfall began in 1988 when in the midst of a hectic schedule, Lee developed meningitis and was hospitalized in quarantine for a week. During this time, a near death experience began to change his life. However, since the experience was not logical, he suppressed it and pretended it did not happen. Otherwise, this illogical event would have destroyed his logical sense of self and sent him into a tailspin. But it created a feeling of emptiness, a feeling that something was missing in his life and a desire to return to that wonderful bliss that he could remember experiencing. Focusing on his CPA work became an almost impossible task. In 1992, nearing the point of burnout during a hectic tax season, Lee had another profound spiritual experience that left him with additional unusual psychic and paranormal abilities. Being a left brained "bean counter", his logical mind could not comprehend what he was experiencing and he was thrown into the downward tailspin of losing access to his logical consciousness. The contradiction of accepting the illogical reality he was experiencing was unsettling. Thus began his quest to understand the hard science explaining his experiences. He returned to the university, this time as a student and completed a degree in psychology and continued his studies in cognitive neuroscience, anatomy & physiology and studied various religions in depth until he could logically and scientifically understand what he was experiencing-- a journey that provided him with an understanding of science beyond the current limits. Lee is an experienced and enthusiastic presenter whose education and research in religion, psychology, and neuroscience brings these three fields together in one unified body of knowledge. Many describe Lee as a mystic, a soul reader or a miracle worker. He insists, that is not the case, but that we are all equal and anyone can do the things he does as they let go and explore their consciousness. According to Lee, miracles are merely science that most currently do not understand. His goal is to teach people the science through his workshops and presentations in order that all persons can grow to find and experience the communion with God that brings fulfillment to life. He takes on the conventional theories of research scientists in neuroscience and demonstrates with profound proof why his explanations hold scientific merit. Understanding what he teaches will lead to a profound paradigm shift in the unification of scientific, psychological and religious theory. His understanding of the interaction between the human soul or spirit and the physical body opens new doors for the future of both psychological and physical medical diagnosis and treatment. 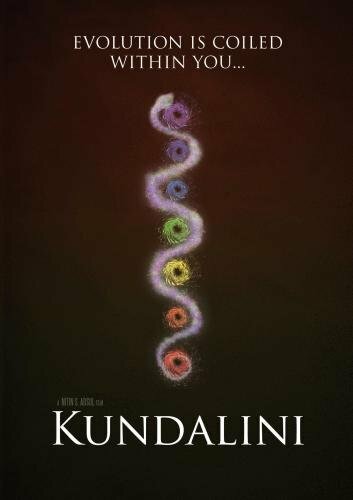 Lee was interviewed for the Kundalini DVD, a documentary film featuring this ancient knowledge and people who have unlocked its energetic force and more recently for Back From The Light, a documentary film on the after effects of Near Death Experiences.